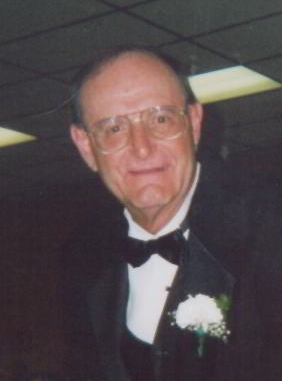 Obituary for Albert L. Lovell, Jr. | Spitler Funeral Home, Inc.
Albert L. Lovell, Jr., 71, of Eldred Twp., passed away Monday, October 15, 2018 at his home. He was born June 14, 1947 in Williamsport a son of Albert L. Sr. and Phyllis Bates Lovell. Al retired from Williamsport Wire Rope. He was a member of the Lycoming Anglers Association and was an avid fisherman, hunter, enjoyed the outdoors, and was a Pittsburgh Steelers and Penn State football fan. He was predeceased by his parents and his brother, Bruce. Al is survived by his wife of 41 years the former Susan D. Hutchison; daughters, Stephanie L. (Shawn) Buck, Lesli A. (Bud Lehman) Davy, and Jennifer R. (James Kishbaugh) Lovell; sister, Diana Friese and his grandchildren, Dylan Buck, Jordan Lovell-Davy, and Logan Davy. The funeral service will be held 10:30 a.m. Thursday, October 18, 2018 at the Spitler Funeral Home, 733 Broad St. Montoursville with the Rev. Walt Coppersmith officiating. Interment will follow in the Montoursville Cemetery. A viewing for family and friends will be held Thursday morning from 9:30 am – 10:30 am at the funeral home.